For many short-term speculators, the current cryptocurrency market could be classified as a bore, with prices remaining relatively stagnant, volume figures dwindling, and altcoins failing to see rapid bouts of non-linear price movement, which were so common during last year’s bull run. Regardless, prices still saw a slight uptick this week, with a majority of crypto assets posting healthy gains. 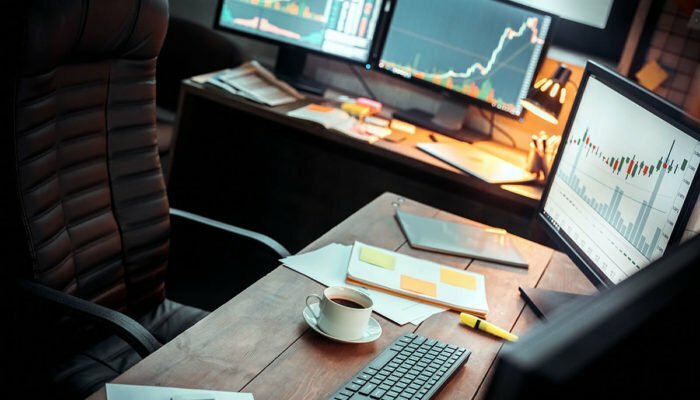 Following a strong 20 percent sell-off in early September, which was touted as “the largest daily dump of the year,” Bitcoin and a majority of the foremost altcoins, made a slight recovery this week, with the collective valuation of all crypto assets rising from $196 billion to $204 billion as it stands today. However, it wasn’t cut and dried, as the market briefly established a new year-to-date low at $186 billion, in direct correlation with a strong altcoin decline. Ethereum, for one, fell by over 10 percent within a single day, putting its feet up at the $175 price level for upwards of 12 hours. It has been argued that Ether’s aforementioned downward move, which occurred on Wednesday, catalyzed losses across the board. This controversy seems to be water under the bridge now, however, as prices saw a resurgence on Thursday, much to the dismay of short sellers and cryptocurrency naysayers. 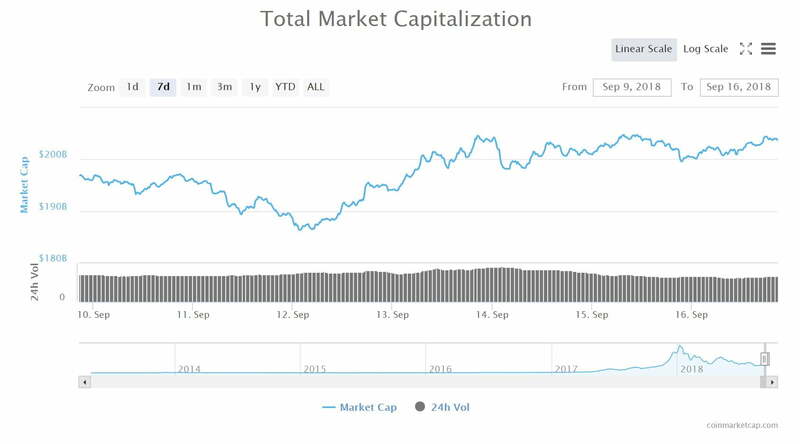 While the initial rebound was strong, volumes have since dissipated, which has resulted in crypto assets remaining within a shallow, boring range for the past 72 hours. Market oscillation aside, Bitcoin still saw a strong week, moving from $6,300 to $6,528 in a slow, but steady uptrend that occurred over the past three to four days. Although BTC’s move pleased many investors, altcoins unarguably performed better, with Ethereum, Monero, and Tezos, for example, seeing an influx of buying pressure. As a result of the relative altcoin strength, Bitcoin dominance took a slight dip, moving from 55.8 percent to 55.2 percent. And some feel like this positive price action is set to continue because as we move into Monday morning, all tokens in the top 20, save for a few, are posting one to three percent gains. This call for a bottom was echoed by Bloomberg’s Olga Kharif and Kenneth Sexton, who recently revealed that the Williams %R Indicator, a method of technical analysis that moves between 0 and -100 to convey if an asset is overbought or oversold, is signaling that Bitcoin is well oversold at a -80. Last time Bitcoin hit a negative 80 on the Williams %R Indicator, the asset saw a hefty 22 percent gain, from $6,017 to $7,361. While this doesn’t indicate that the market will undergo a strong move upwards again, many are hopeful that this signal might spark a substantial price recovery.